Competition is just what keeps the world going. Many compete for various reasons, but the ultimate reason is supremacy. Recently, the bleached and curvaceous socialite, Vera Sidika publicly attacked Huddah Monroe, the boss chick alleging that Huddah has been copying her after she decided to gift herself with a Range Rover 2015 on her birthday. 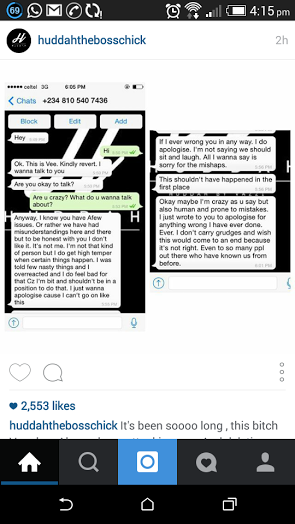 Any publicity, they say, is good publicity and these two top socialites are the queens of drama and publicity stunts. 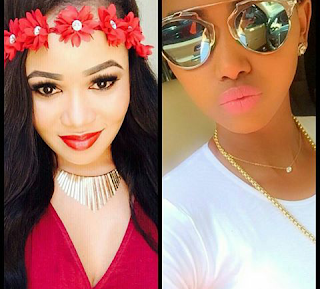 The ‘fake’ celeb, Vera Sidika always asks for forgiveness whenever she goes hard on Huddah but what astounds me is that, she apologizes only to attack her (Huddah) the subsequent week.